Where do you need the unpacker? In addition to packing or unpacking, do you need any other services? 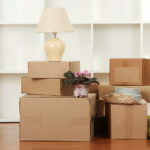 Would you like to add photos of the primary items you need packed or unpacked? When would you like the packing / unpacking specialist? Anything else the packing / unpacking specialist should know?